Some might say that the key to a great group getaway is a place just to yourselves, activities for all ages, and might involve a good old’ guitar around the campfire. Others are looking to sleep late in comfortable beds, spend the day by the fire with a good book, and play intense card and board games into the night. But gyptianveryone can agree you need great food! Sundance Lodge is Banff’s closest backcountry lodge and offers hot showers, flushing toilets, solar power, private rooms, and amazing food – true luxury in the backcountry. Rocky Mountain culinary creations fresh from the chef’s kitchen in a long table, group dining setting. When the dinner bell rings, you’ll know it’s time to eat up. This place is great for group buyouts because all rooms are upstairs with bunk beds and a double or single bed. Downstairs you’ll find our common areas, kitchen, fireplace, games, couches, and of course the guitar. Your mode of transportation into Sundance Lodge? Well, that’s up to you. 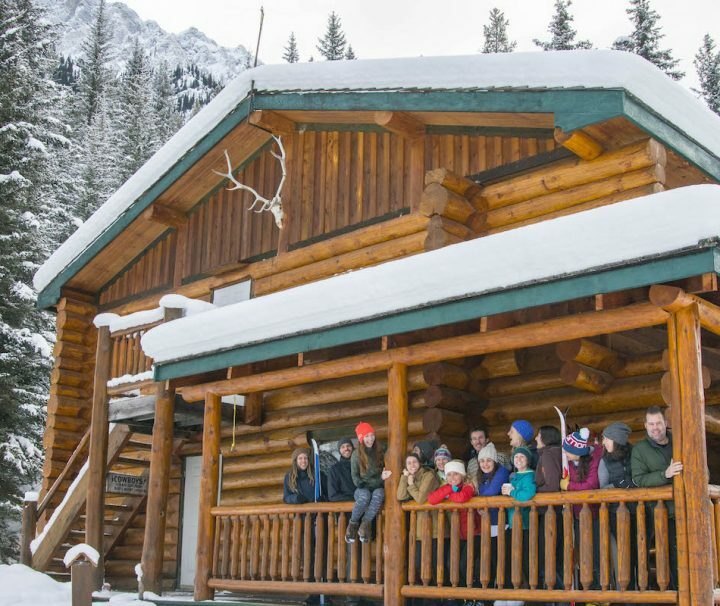 Fat biking, cross-country skiing, and snowshoeing are all ways you can access the lodge making it Banff National Park’s only lodge with so many transport options to reach it. For more information on these, check out our blog post on ways to get to Sundance Lodge. For centuries, the fire has brought people together sharing stories, conversation, and connections around the world. Whether it’s outside around the campfire, or inside around the fireplace at the lodge, groups come together in an unforgettable setting in Banff National Park’s backcountry, making memories that last a lifetime. ‘Disconnect to reconnect’ is a phrase we hear in wellness travel, and there is no better way to describe guests’ connections to each other and the wilderness at Sundance Lodge. When was the last time you went without technology, Wi-Fi, or cell service for two or more days? It’s a liberating feeling, and also surprising how quickly you’ll forget about not being connected. 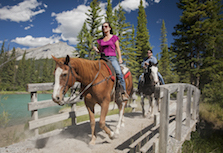 Enjoying Sundance Lodge comes with spending quality time outside – the journey in is roughly two to four hours (on your choice of a 10 or 16 kilometre track-set trail) through the forests of Sundance Canyon. Following Brewster Creek, several scenic viewpoints are enjoyed as guests glide, ride, or stomp along the track-set trail. You’ll know you’re close when you smell the fresh baking waiting for you at the lodge – enjoy a cold beer, glass of wine, and the reward of reaching your home away from home in the backcountry. Relax, unwind, and enjoy the lodge – after your three-course dinner, head outside and look up at the night sky – a million stars can be seen which is a sight rare to anyone who ventures from an urban destination. Stomp around with our snowshoes, take some photos, and enjoy complete silence and night sky. We welcome guests to explore and enjoy our beautiful little paradise situated on Brewster Creek, just outside the townsite in Banff National Park.